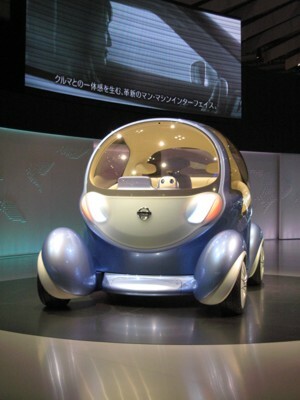 I first saw Nissan’s Pivo 2 concept car at the Tokyo Motor Show last year. It has quite a number of interesting features, such as a cabin, that can rotate 360 degrees and tires, which can move independently from each other, which allow it to move sideways and facilitate parallel parking. However, the most interesting thing from my point of view was their robotic co-driver. It monitors the driver’s mental state based on facial expressions and voice patterns, advises about free parking spaces and speed limits and helps you navigate. - and the best thing about it: It won’t tell you things like “Do you have to speed like an idiot??? ", “You should have turned left here! ", “If you keep driving like a snail, we’ll never be in time"… so when can I preorder?